It’s been a really good day..
I’ve not worried or stressed about too much and went for a lovely brisk walk in the sunshine this morning for an hour at our local recreation ground. A walk makes you feel wonderful when it’s a glorious day! Did some grocery shopping, a little housework, read a little and re-created a wartime recipe for ‘Savoury Meat Pie’ (I of course used the remaining half of my FAKE meat ration!). 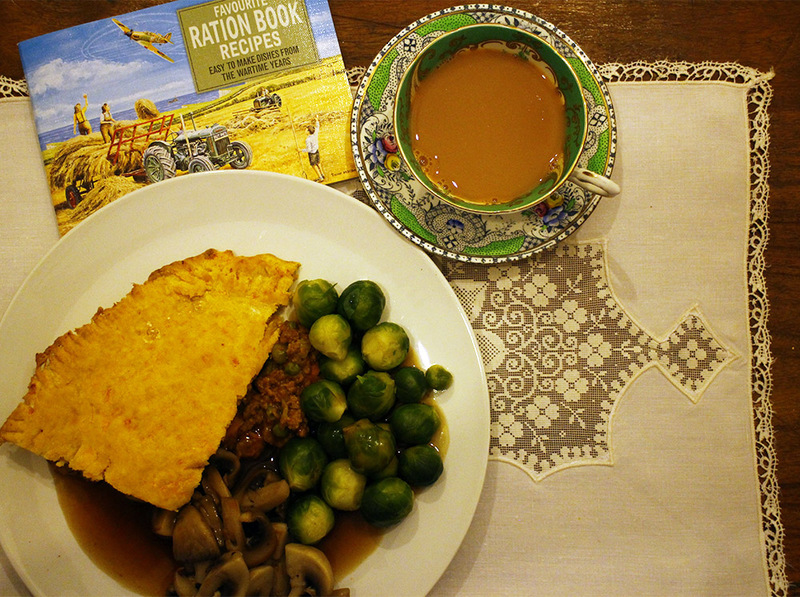 I made it from a little book I picked up from Nottingham Tourist Centre called ‘Favourite Ration Book Recipes’ and cost just £1.99! I’ll post the recipe later! This afternoon I did a short session in the gym on the cross-trainer followed by another brisk walk at 6.2 kmh on a 1% incline and a two minute jog at 7.5 kmh. I’m too heavy for jogging, I’m not ready for that yet but give me another 30 lbs or so off and I’d like to train to jog a 5K. I think that will be my next goal for next spring! Food wise, it’s been another GREAT day! Two days until weigh in! ← 7 Day Food Diary – Day 5, Great Food Day, All Under Control! Hmm that looks tasty, and I slipped and ordered the book from Amazon! Oh likewise! I hadn’t seen this one before though!